Hoarded items are often things others would throw away or look at as junk or garbage such as old newspapers, junk mail or packaging. 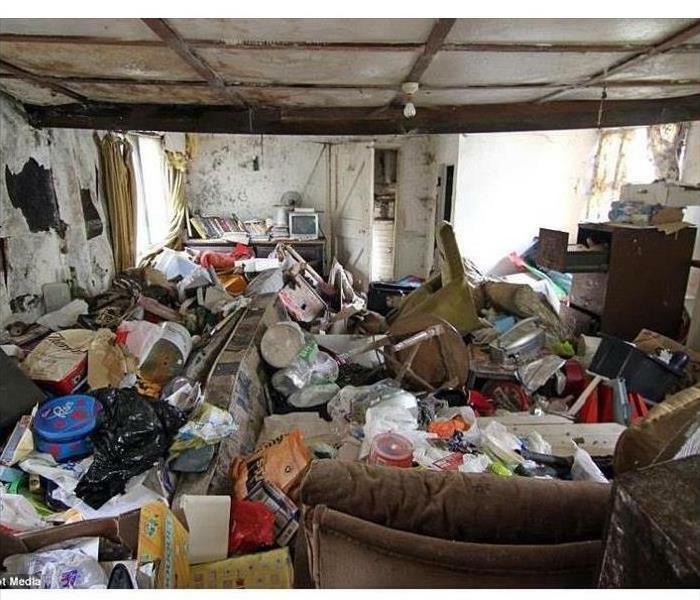 Hoarding can lead to homes filled with extreme clutter to full capacity from years of accumulation, making living conditions unsanitary and crowded. Bugs, fleas, rats and other vermin may be present, at which point an exterminator would need to be called. At times, hoarding may spread to outside the home as well, to storage facilities, or even the garage or yard. we are called for a fire or water loss and find the hoarding situation when we arrive on-site. We will communicate with the insurance company regarding their contents coverage, and after approval, contents can be packed out and possibly cleaned, dried, and stored, or relocated to a storage facility so work on the fire or water loss can begin. 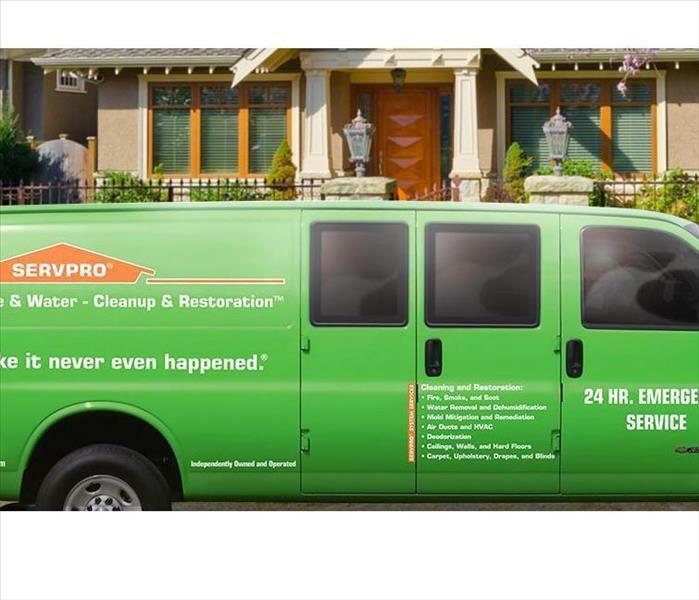 Another way SERVPRO® can encounter hoarding jobs is through calls from landlords, case workers, real estate agents, or family members, often after the death of a loved one. In these situations, the crew will see if they should look for any items of importance while they clean the job. Sometimes, family members will come and try to help the hoarder sort through their contents as well. Dry Ice Blasting has become the preferred method to remove smoke soot, vaporized synthetic resins and char. 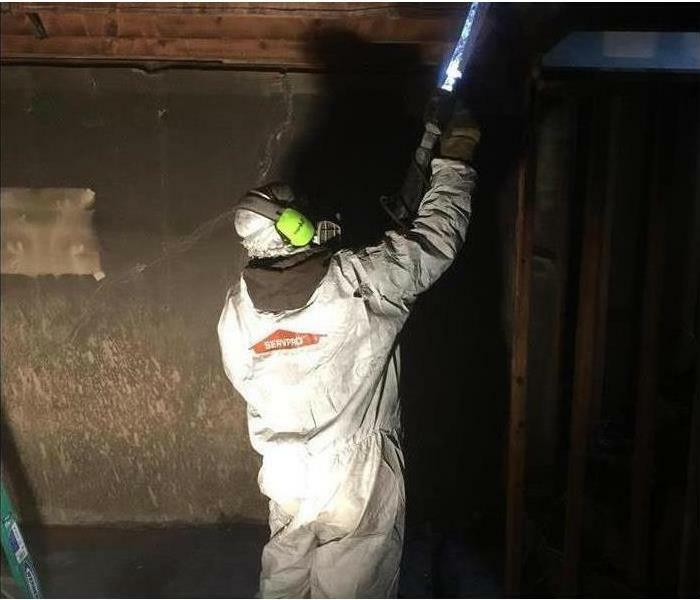 Advanced Indoor Air Quality Care uses C02 dry ice blasting can reduce or eliminate the musty burnt smell that results from fire, smoke and water damage. Call SERVPRO of Franklin County for Dry Ice Blasting. SERVPRO of Franklin County is locally owned and operated and we are proud to be part of this community. Fire damage can be devastating. You need a caring expert to guide you through this crisis. We’ll treat your property with great care. Does Your Union, MO Home Have Water Damage? 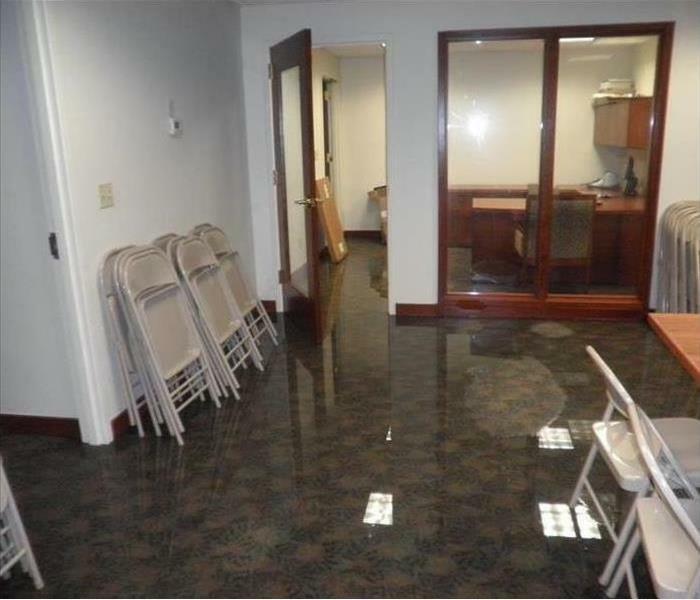 When your Union, MO home or business has water damage, you need to call a water damage restoration service. This is the kind of professional that no one wants to call, but when they are needed, it is important not to delay. You know that moisture is often the enemy. It is capable of penetrating into just about any space, and taking advantage of every little crack and structural problem. No matter how moisture gets into the building, the response should be the same. 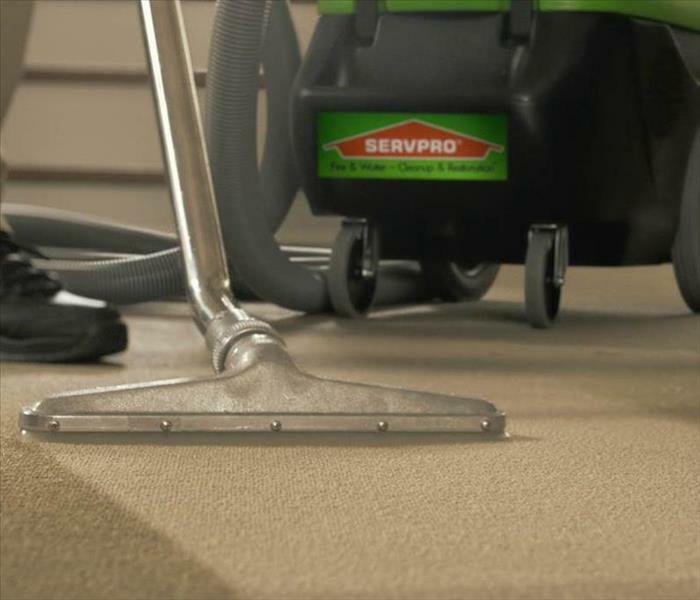 Bring in a certified firm, such as SERVPRO of Franklin County, as soon as possible to clean the home, dry it, and ensure there are no lingering health threats once the moisture is gone. If water has entered the home through a contaminated source, don’t try to handle it on your own! Floods and sewage backflows contain a cocktail of deadly bacteria, viruses and fungi, and even momentary skin contact can leave a person seriously ill. A certified water damage restoration service not only has the tools to eliminate the moisture, they have the personal protective equipment (PPE) to remain free from harm. Restoration technicians have a lot of technology at their disposal. These include powerful vacuums and pumping systems, high volume air movers, dehumidifiers, heat injectors, moisture meters, and a number of detergents formulated for destroying fungi and other microbial threats. While the technicians work on the building, disposing of compromised materials, and drying the rest, they will also destroy all mold and microbial colonies. This is the only way to ensure a home is safe to live, and a business safe to work in; any other cleaning method is a dangerous gamble. Call SERVPRO of Franklin County. We are water damage restoration specialists and are ready to restore your Union, MO home back to pre-water damage condition. We quickly extract the water and then dry your property using state-of-the-art equipment. Floods are one of the most common and widespread natural disasters in the United States. Whether your home or business is near a coastline, along city streets, in the mountains, near a river or even in the desert-there is always potential for flood damage. Floodsmart.gov reports, in the last five years, all 50 states have experienced floods or flash floods. According to the American Red Cross (ARC), floods cause more damage in the U.S. every year than any other weather-related disaster. The ARC offers the following flood safety tips. If a flood does strike your home or business, contact SERVPRO of Franklin County. Even minor floods have the potential to cause major damage to a structure when not treated quickly and properly, and the cleanup is often an overwhelming task. 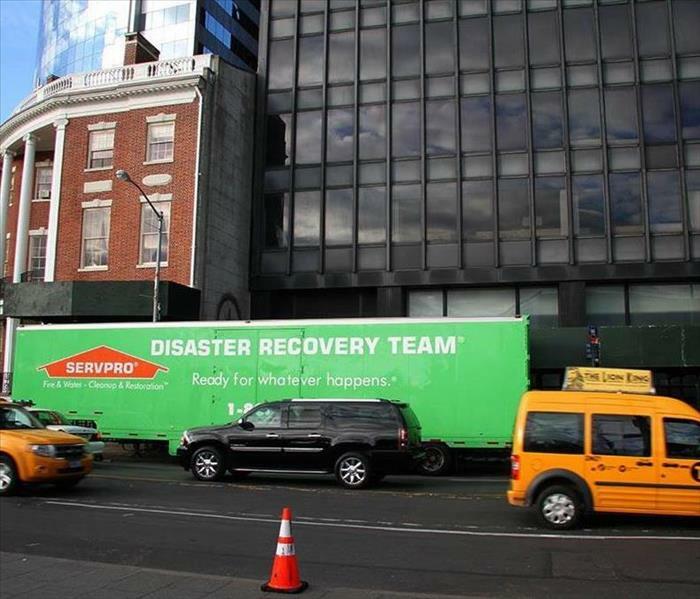 The SERVPRO® System is prepared to handle any size disaster. 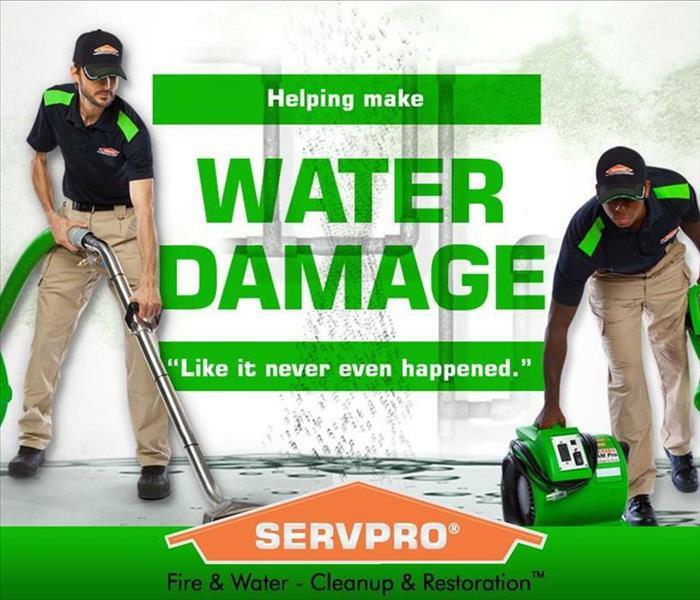 When fire and water take control of your life, SERVPRO of Franklin County will help you take it back. The worst nightmare for any restaurant is having to deal with a disaster. Statistics show that 50% of businesses that sustain a catastrophe never re-open. Unfortunately, Pasta House in Union, MO had to deal with that nightmare scenario after suffering a kitchen fire on the evening of January 28th. SERVPRO of Franklin County was there to help the next morning. After seeing a post about the fire on Facebook, our owner, Jerry Alvey, met with the owner of Pasta House and the Union, MO fire chief. Jerry assessed the situation and determined that the kitchen and dining room would need a thorough cleaning, while structural repairs were needed in the kitchen. After speaking with Pasta House’s adjustor, SERVPRO got approval to move forward with the job. The first step was making calls. Lots of them. Subcontractors were called to handle electric, mechanical repairs for cooking equipment, repairs to the security and alarm system, and repairs to the acoustic ceiling. An architect, the city of Union, and the Union fire inspector were also called. SERVPRO also got a dumpster set up immediately to clear the debris and damaged contents in the building. To help handle such a large loss, SERVPRO called in its Extreme Response Team, Team Wolfe. One of the benefits of SERVPRO’s franchise system is that no loss is ever too big, and there’s always help from groups like the Extreme Team if necessary. In the meantime, SERVPRO’s employees began removing the damaged ceiling tile in the kitchen and addressed the odor by setting five air scrubbers and four hydroxyl generators. Jerry also completed the diagram for the building, as the adjustor wanted to see it when they met the next day. He also spent the rest of the day measuring, scoping and estimating. On day two, the adjustor for the job and project manager Hank from the Extreme Team came out and a plan of action was put into place. Jerry and Team Wolf spent the day developing the scope of repairs and estimating, getting tentative repair costs. Since the ceilings were 15 feet tall, the group strategized about how best to clean them. After debating between man lifts, scaffolding and ladders, it was determined that ladders would be the best option because they would be the easiest to work around. Ladders create safety issues, and there always needs to be three points of contact (two feet and a hand) with someone on the ground steadying the ladder. The crew members on the ladder were to detail clean from top down, moving left to right. First they HEPA vacuumed the entire interior of the building, then they wet cleaned. It was also determined with the Extreme Team that there should be 12 crews with two supervisors and a project manager overseeing the cleanup. The crews would be on 10-hour shifts for six days. Every morning, the crew members would line up at 7 a.m. in front of their supervisors and they were checked to make sure they were wearing their personal protective equipment, which included hard hats, safety glasses, respirators, gloves, and steel-toed footwear. They would also hold a daily safety meeting. They also strategized about what order the cleanup should take place and what the priorities were, with the goal being to open the restaurant back up as soon as possible. For most of the cleanup, the source of the fire damage in the kitchen had to be worked around because the fire inspector was still trying to determine the cause of origin. After structural cleaning was completed, air duct cleaning began. Pasta House had an extremely large duct system with five units that required detailed cleaning due to the amount of smoke. When the duct cleaning started, SERVPRO also began sealing and painting both the kitchen and the dining room. Both the duct cleaning and the sealing and painting took three days. While SERVPRO was painting, the alarm company came and replaced what was necessary to re-open, which was the smoke detectors and CO detectors. Around this time, the architect submitted his sketch of the ceiling and lighting layout which was reviewed by the city. After the sketch was in, the acoustic ceiling company was able to start. They worked in conjunction with the electric company to replace the lighting. On Feb. 13, SERVPRO was approved to cut out the damaged wall from the source of the fire, with the goal being to re-open the restaurant the next day. The cause and origin folks completed their investigation and turned this area over to us. Once the wall was cut open, the city inspector and fire inspector came and determined there were four circuits in the wall that were burnt and needed repair. The electrician made the necessary repairs late into the night, and the inspector accommodated SERVPRO and Pasta House by coming back at 6:30 a.m. the next morning to approve the repairs and allow the close-up of the wall with fire-rated drywall. The inspector came back again at 12:30 p.m. to approve the re-opening of the building, which was slated for 3 p.m. SERVPRO continued to put the finishing touches on the cleanup until Pasta House’s doors re-opened that afternoon for Valentine’s Day. SERVPRO was incredibly proud to get Pasta House re-opened in just 16 days. We knew how important it was for Pasta House to get back in business to save them from costly losses from being closed for an extended period, and we worked diligently to make their disaster "Like it never even happened." Spring Storms are coming... Are you READY? If your home or business suffers damage from a storm, know who to call to quickly get help. When you are dealing with storm, flood, and water damage, immediate action is crucial. You should choose the company with storm damage experience and expertise that has the resources and equipment to handle the job. 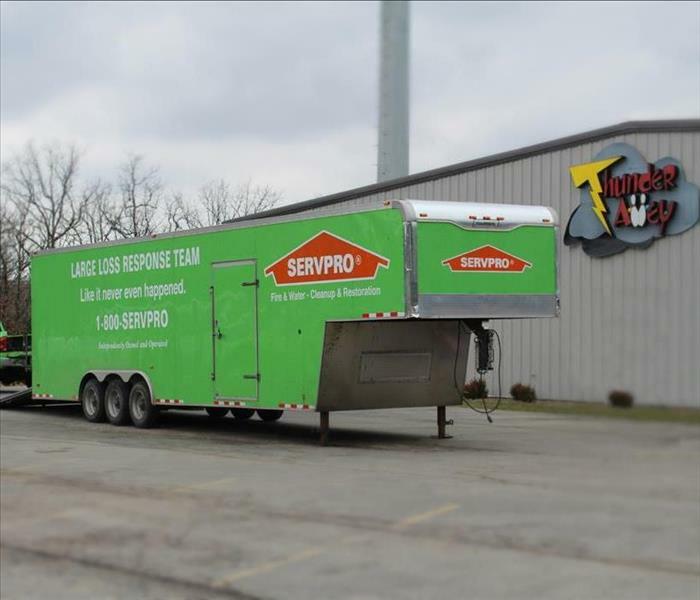 SERVPRO of Franklin County responds immediately to your flood and storm damage emergencies. We have the storm damage restoration experience and specialized equipment to restore your home or business back to pre-storm condition. SERVPRO of Franklin County can respond immediately to storm and flooding conditions. SERVPRO of Franklin County is locally owned and operated—so we live and work here too, and are proud to be part of the Union community. We are also part of a national network of 1,650 with special Disaster Recover Teams that can respond with additional resources during catastrophic storms and major events. Just because you haven’t experienced a flood doesn’t mean you won’t in the future. In fact, 20% of all claims paid by the National Flood Insurance Program (NFIP) were for policies in low-risk communities. On average, floods cost $3.5 billion in annual losses in the U.S., and commercial flood claims average more than $75,000 (NFIP). 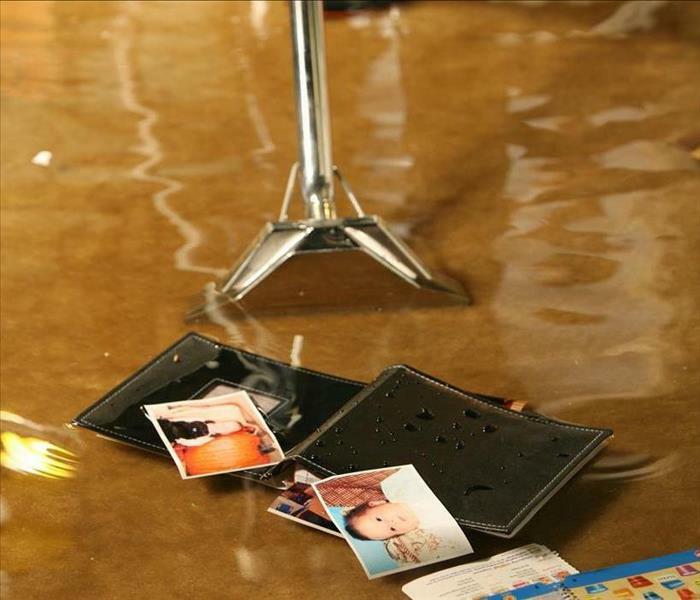 When catastrophic water damage happens to you, SERVPRO® of Franklin County can help. We can help you prepare ahead of time with an Emergency Ready Profile® (ERP) or respond to any size disaster to begin cleanup and restoration to get you back in business as soon as possible. Gray water is used to classify slightly contaminated water. Clean water becomes gray water when it is left untreated allowing bacteria and other contaminants to begin growing, making the water hazardous. When you have a water damage, don’t leave your property to chance. Call SERVPRO of Franklin County. 3/22/2019 - Spring is in the air! 3/19/2019 - Does Your Union, MO Home Have Water Damage? 3/8/2019 - Spring Storms are coming... Are you READY?